O happy day! 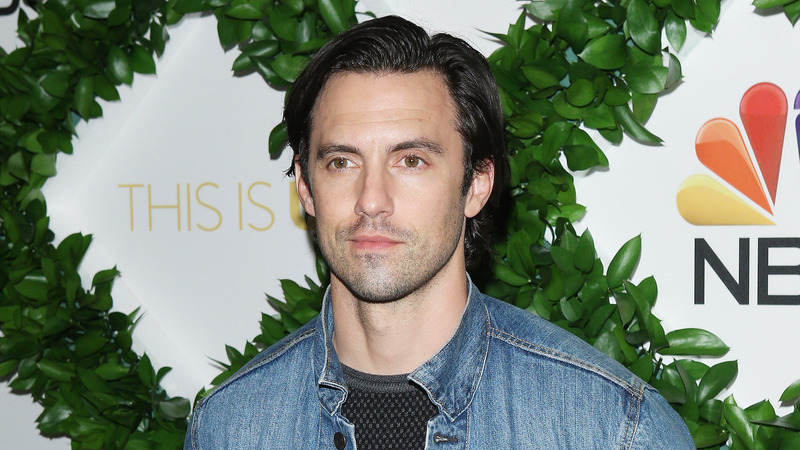 Rejoice with us, fellow members of the extended Pearson family — This Is Us is officially back in production, and Milo Ventimiglia has the set photo to prove it. You didn’t think a defective Crock-Pot could keep Jack away, did you? On Wednesday, Ventimiglia tweeted a telling photo of his character behind the wheel of his car. “Here we go @NBCThisIsUs season 3,” the actor wrote. Bless the good people of This Is Us for making sure fans will get their fix of Papa Pearson, right? Following the heartbreaking (read: ugly-cry-inducing) revelations of season two, it remained unclear just how much we would see Ventimiglia in the series’ future. For now, though, it would appear everyone’s favorite fictional dad will continue to serve up invaluable life lessons on the NBC tearjerker. In an interview with EW in February, creator and co-showrunner Dan Fogelman teased, "In many ways, Jack might be the character we still have the most to learn about, because he's kept so many secrets in this period before we've really known him." And, for now, just knowing there's more Jack Pearson wisdom lying in wait is good enough for us. Season three, which will premiere in the fall, first started filming on July 10. We know this because (praise be) the cast and crew could not contain their excitement, and it naturally spilled out onto social media. First, series creator Dan Fogelman shared the “first scene” from the season. In it, Sterling K. Brown’s Randall and Susan Kelechi Watson’s Beth appear to be pretty darn excited about something, and we doubt it’s just the orange juice Randall’s drinking. Later that day, Brown shared a short video from the set in which he and Watson are twerking. After watching the clip, you’ll undoubtedly come to the same conclusion we did — you couldn’t possibly like these two any more if you tried. They are American treasures. Faithe Herman, who plays Brown and Watson’s TV daughter Annie, also shared a photo from the set. “My sisters!” she captioned the adorable snapshot with her costars Eris Baker (Tess) and Lyric Ross (Déjà). Go ahead and start crossing off the days on your calendar, friends. Sept. 25 will be here before we know it, and all will be right with the TV world again. But be forewarned: You'll still need to stockpile tissues. At least a few of This Is Us' beloved characters will experience bumps in the road. "There will be a bit of an exploration of marriage with regards to Randall and Beth going through times that aren’t all sunshine and rainbows," Brown hinted to People magazine in March. "And that’s not to say that they are in danger of parting ways, but marriage is real and takes work."